The North swim team, the Bull-Frogs, have many practices at different times and the practice schedule varies from person to person. The North varsity swim team has 10 practices a week. Every weekday morning except for Wednesdays, most swimmers get up around 4:30a.m. in order to be at the pool and in the water by 5:00a.m. 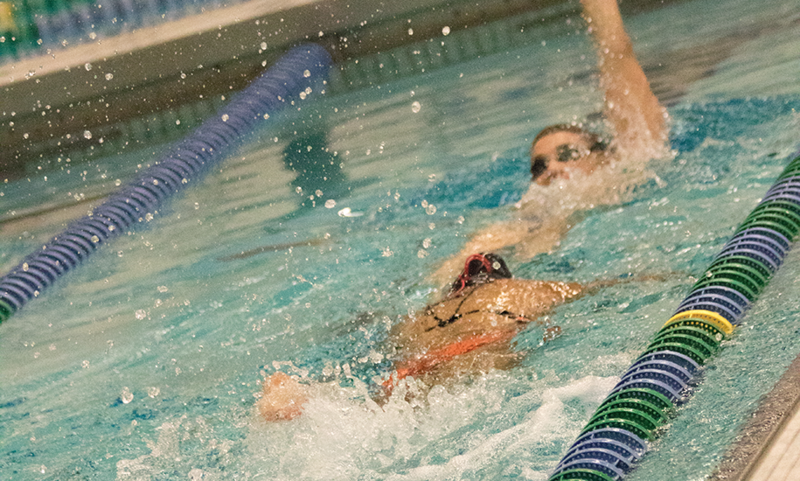 “I like having morning practices in the sense that it gets me started for the day and it gets me energized; I know it helps my swimming, but there are some days when I have a lot of homework and it’s really hard to wake up at 4:45a.m.” Sophomore Adeline Rush said. “It depends on the day some days I really don’t like waking up because I have to wake up at 4:25 to get to school since I live twenty minutes away and you have to be at practice by 5:00 so I don’t like waking up super early but I do enjoy the weight lifting,” Sophomore Paige Sherlock said. Swimmers here at CNHS often use the early morning practices as a chance to do weight training. “I feel like these practices are pretty effective, because I find myself getting a lot stronger and faster when I do mornings,” Sherlock said. “When we do our weight training, the strength in the weight room transfers over to strength in the pool, and that’s important.” Rush said.